2015 “Fight the Filth”: Civic Sense and Middle-class Activism in Mumbai. In Cities in South Asia (Routledge New Horizons in South Asian Studies), Crispin Bates and Minoru Mio (eds. ), pp. 197–209. Oxon: Routledge. 2013 Civic Sense and Cleanliness: Pedagogy and Aesthetics in Middle-Class Mumbai Activism. Contemporary South Asia 21 (2): 89–101. 2012 Cosmopolitanism and the Morality of Business among Navi Mumbai Merchants. South Asia Research 32 (3): 199–213. 2012 Aesthetics of Civil Society: “Fight the Filth” Campaign in Mumbai. Economic & Political Weekly 47 (20): 13–16. 2018 [Digital Essay–ongoing] Taguchi, Yoko, Miki Namba, Grant Jun Otsuki, Gergely Mohacsi, Shuhei Kimura, and Miho Ishii. 2018. “Anthropologies of Science and Technologies in Japan.” In STS Across Borders Digital Exhibit, curated by Aalok Khandekar and Kim Fortun. Society for Social Studies of Science. August. 2017 [Blog] 「市民社会と政治社会のあいだ、西洋とインドのあいだ」『自分の言葉で』The World Council of Anthropological Associations. 2017 [Interview] An Interview with Marisol de la Cadena by Yoko Taguchi, NatureCulture. 2016 [学会近況] Theorizing the New Middle Class in India.（英語テーマ別セッションⅢ）『南アジア研究』28: 248–253. 2011 [新聞記事] Here, Being a Citizen Is to Change the System, Mumbai Mirror, Mumbai, India, August 16. 2018 Taguchi, Yoko, Miki Namba, Grant Jun Otsuki, Gergely Mohacsi, Shuhei Kimura, and Miho Ishii. “Anthropologies of Science and Technologies in Japan.” In STS Across Borders Digital Exhibit, curated by Aalok Khandekar and Kim Fortun. Annual Meeting of the Society for Social Studies of Science. Sydney, Australia, 8月30–31日. 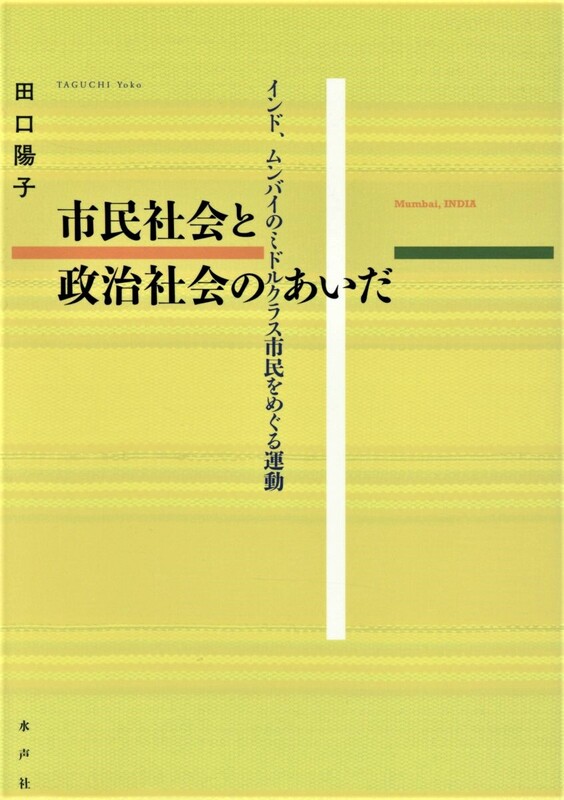 2018 The Fiction of “Fluid Nuclear Units”: Domestic Workers and Middle-class Householding in Mumbai, at “Kinship as Fiction: Exploring the Dynamism of Intimate Relationships in India” panel organized by Yoko Taguchi, Anindita Majumdar, and Chihiro Nakayashiki, at the 31st Annual Conference of the Japanese Association for South Asian Studies, The Kanazawa Theatre, 9月30日. 2018 Relatedness through Domestic Work: Contingent and Processual Connections of Family, Maids, and Personhood, “Examining the ‘New’ in Kinship and Family in South Asia,” Department of Liberal Arts, Indian Institute of Technology-Hyderabad, 2月2日. 2018 Negotiating Inside and Outside: Advanced Locality Management (ALM) and the Civic Realm in Mumbai, INDAS/Martin Chautari International Symposium “Peaceful Development of South Asia,” Himalaya Hotel, Kathmandu, 1月5日. 2016 Corruption, Anti-corruption, and “Personal Values”: (A)politics of Not Quite “Two Selves.” at Japanese Scholars Afternoon, February 24, University of Amsterdam, 2月24日. 2016 Between Corruption and Anti-corruption: Movements of Civic Values in Mumbai at PhD workshop at Symposium “Social Sufferings and Traumatic Experiences: An Anthropological Perspective.” at Institute for Research in Humanities, Kyoto University, 1月10日. 2015 The Quest for Integrity: Middle-class Values and Corruption in Mumbai at “Theorizing the New Middle Class” panel, organized by Jonathan Shapiro Anjaria and Yoko Taguchi, at The 28th Annual Conference of the Japanese Association for South Asian Studies, The University of Tokyo, 9月27日. 2014 Active Persons: The Gita, Psychometrics, and Citizens in Mumbai. at PhD workshop at International symposium “Comparative Reflexivities,” Hitotsubashi University, Tokyo. 11月16日. 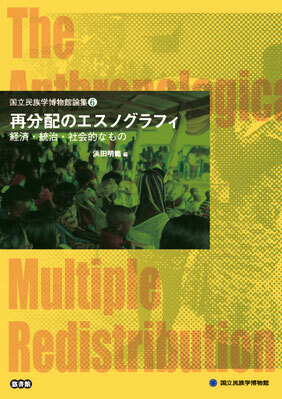 2014 (co-authored with Moe Nakazora) The “Dividual” in Anthropology: Lateral Development of “Personhood.” at “The Individual in Anthropology: a Future Paradigm in Anthropology?” panel at IUAES Inter-Congress, Makuhari Messe, Chiba, 5月16日. 2013 Between Populations and Citizens: Surveying and Awareness in Mumbai Activism. at Macau Winter School, “Urban Hybridity in the Post-Colonial Age,” International Institute for Asian Studies, The University of Macau, 12月18日. 2013 Trust and Civil Society: Contemporary Activism in Urban India. at “Trust in Super-Diversity” panel at the 17th World Congress of the International Union of Anthropological and Ethnological Sciences, The University of Manchester, UK, 8月6日. 2012 The Aesthetics and Form of Civil Society: Fighting the Filth in Mumbai. at “Opening the Boundaries of Citizenship” Conference, European Research Council funded OECUMENE Project, The Open University, UK, 2月6日.